Digital marketing is not just a catchphrase thrown around at networking events. Well, you need to understand the types of digital marketing at your disposal. This type of marketing can surely get you the results that you need for your business. Now, try to ask yourself, do you really know what a digital campaign is? If the answer is no, then it’s okay. This article will help you understand the ins and outs of a digital campaign. And by the end of reading this, you will feel confident in your ability to employ online marketing as an effective part of your overall campaign strategy. Now, what is digital marketing? When we say digital marketing, it is the type of marketing that uses digital technologies to promote the product or services. In fact, there are two forms of this strategy, the online and offline. But before we touch on these two forms, let us know first why digital campaign matters. In today’s trend, people tend to spend too much time on their electronic devices especially on their mobile phones. And this is why digital promotion is more important and impactful than ever before. Think of it, without digital promotional efforts, you will not reach your target audience online. And as a result, your business will be left in the dust. Thus, you don’t need to be left behind. 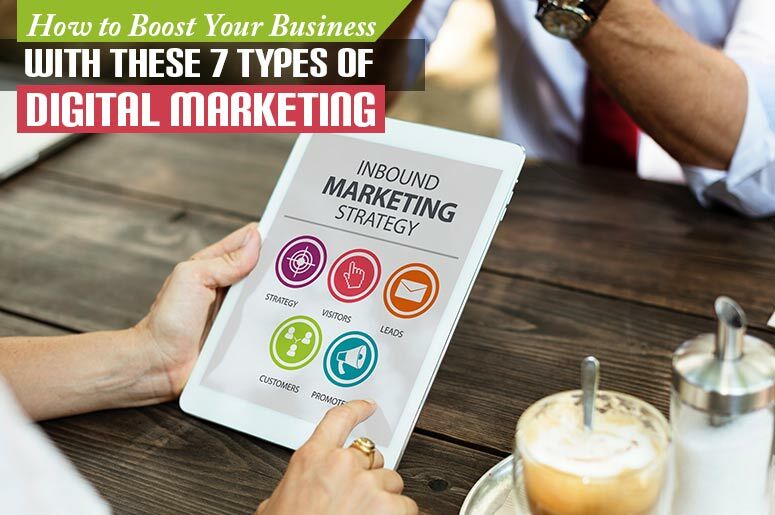 If you consider the different types of digital marketing and think about which one works best for your company and target audience, you’re all set. Search Engine Optimisation or also known as SEO is a process of boosting your online visibility in an organic or unpaid search engine result. Well, search engine results pages appear to users after they search for a set of keywords using a search engine. By the way, an example of a search engine is Google, Bing or Yahoo. Each user will receive an individual results page based on keywords, the location of the user searching, and their browsing history. Moreover, the organic search results appear in a list and are ranked using the search engine algorithm. And as the users change the way they search and engage with online content these algorithms also change. Hence, the higher you rank on a SERP or search engine result page, the more traffic is directed to your site and the more chances of visitors and active customer. Likewise, SEO trends change. An algorithm changes every time to fit the user’s needs. Well, SEO is never about building a website for the sole purpose of ranking high on a search result. It is about crafting the best website for your target user. And as what SEO experts says, if you stay on top of SEO trends, you are that much closer to more visibility online and increase traffic to your site. Now, you might be asking how do you get your company’s website to appear at the top of a user’s organic search results? Well, the answer is by optimising your website using SEO. And for the other types of digital marketing, we have the search engine marketing or also known as SEM. It covers the ground that SEO ignores; paid traffic from search engines. And with SEM you can purchase advertisement space that appears on a user’s SERP. Well, the most common paid search platform is Google AdWords and the next in rank is Big Ads. The search engine charges an SEO marketer a predetermined amount to display promotion in a number of places on a SERP generated from specific keywords or phrases. Well, pay-per-click advertising or PPC is an example of SEM. It refers to a digital campaign method that search engines charge a company each time their advertisement is clicked. Technically, social media platform starts to adopt PPC advertising in recent months. These ads show up in the news feeds of a company’s target audience. And this system is a great example of how the different types of digital marketing bleed into each other to form a complete digital campaign technique. Well, in this case, SEM overlaps with social media marketing. Speaking of social media marketing, you now know that social media is a crucial part of your marketing strategy. But, let me ask you, do you know the ins and outs of social media campaign? Well, to give you an idea, the social media campaign gives you the increase in exposure. Yes, it allows you to connect with your consumers in a more intimate way. And from this interaction, you can gain valuable customer feedback that will allow you to improve your customer service, products, or other services. Furthermore, with quality content being posted on your social media you will gain much more target audience. Everything you do to increase traffic or business on your social media channels is called social media marketing. Mostly, everyone benefits from social media marketing especially B2C. So, better pay attention to what your target audience talks about on social media. You may consider engaging in the conversation to build a connection. It is a practice of delivering a quality piece of content to your users to generate sales and leads. Well, this content can live anywhere online. And yes, content promotion works because it melds together exceptional content with other types of digital marketing like SEO and social media marketing. Furthermore, in creating content, make sure to keep your audience in mind. Remember who you are talking to and what they are interested in. Because this will dictate the subject of your content. And lastly, don’t forget to share your content all over your social media platforms for maximum exposure and feedback. It is one of the newest types of digital marketing that uses people with an enormous online reach. They are considered as an expert that will help your target market to drive traffic and sales. Influencer marketing is now common on social media networks like Instagram and Snapchat. However, before hiring an influencer, make sure to do your research before doing business with them. You may want to verify their Google analytics and make sure their followers are all legitimate and not full of fake accounts. Email allows you to send an update to your email subscribers on a regular basis. As a matter of fact, this type of online marketing fosters a relationship unlike any other. Considering that your email updates provide value to your consumer. And as a result, you build brand trust and brand loyalty. Moreover, the best email campaign involves a list of subscribers earned by your content and company, and not paid ones. Now, each type of digital promotion can happen on a mobile device. But some types of marketing using a mobile phone do not fit the above types of online digital promotion. These include SMS advertising which could prove an asset to the local campaign effort. You can prompt your customer to use SMS to receive special offers, coupons, and updates from your company. Well, it will be worth to know that your online marketing strategy is not complete with online digital campaign alone. Likewise, you should consider and implement some types of offline advertisement to reach your goals. Furthermore, an enhanced offline campaign is offline marketing that uses electronic devices to boost the user experience. The best example of this is a restaurant that lets customers put in their order with electronic tablets. Well, radio promotion, television advertisement, and phone promotion are also part of offline digital marketing. How to boost your business using the types of digital marketing? And now that you already what the types of digital marketing, you can use these to boost the visibility of your business online. And let your customer interact with you. Well, we must stress that this is the real goal of all these digital campaigns. Create an experience for your target audience that boosts your brand into the forefront of your mind. Likewise, quality marketing practices benefit both you and your target audience. Your success is not yet dependent on online marketing alone. But since the people live their lives in today’s digital time, it leads marketers to believe this is around the corner. So, always remember that the key to brand visibility is boosting your SEO. And through quality content marketing that sticks to the best SEO practices and is shared on social media, you can make sure that you will increase and reach your target audience. Want to boost your business with SEO practice? Well, Aleph IT can help you out! We offer you comprehensive packages and services to supply your digital needs. You may also call us for details and a free quote. And for more updates and tips, visit and explore our blog section. This entry was posted in Digital Marketing and tagged Digital Marketing, digital marketing perth, digital marketing services, types of digital marketing.